Too tired to grocery shop and not in the mood for fast food, this is what’s for supper tonight. It’s a lighter soup for a warmer evening. Yes, this soup is almost entirely from cans. But it’s probably still healthier than drive-thru. 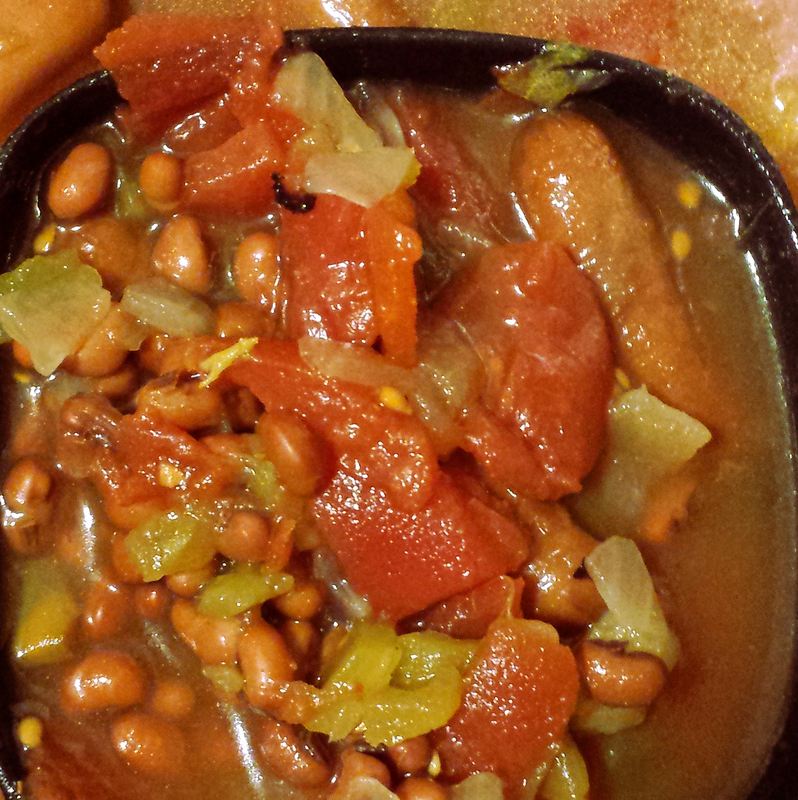 Canned field peas are hard to find lately. These are *not* blackeyed nor crowder peas, but probably an Austrian winter pea, also known as a dun pea. 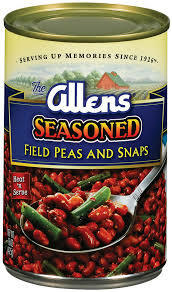 They are currently my favorite legume and when I see them on the shelf I get half a dozen cans. I particularly like Allens or Texas Fair. Saute the sausage and onion together in a small amount of water until the onion is soft. Before lowering heat, add tomatoes and chilies and stir well for a couple of minutes to prevent sticking. Lower heat and add peas, broth and spices. Simmer for 30 minutes. Do a taste check before adding additional salt or spice. Both the sausage and the peas will add salt and occasionally chilies will add a little fire.